What do wewe call him? mashabiki wanachagua: Erik x Christine of course!!! [Erik Quotes] Which one do wewe like more? mashabiki wanachagua: I loved her so! And I upendo her still...and I am dying of upendo for her. "All I Ask Of wewe Reprise" Quote contest!! inayopendelewa quote out of these?? PLEASE COMMENT!!! mashabiki wanachagua: "You will curse the siku wewe did not do, all that the Phantom asked of you!" Do wewe think Christine deserves Erik? If Christine and Raoul actually stayed together and the Phantom was the father-figure, and it WORKED, what would wewe think? I just personally think Erik and Christine don't deserve a upendo story of nonsense and offense. Let me reason my point of view and then please, reason yours if you're a shabiki of LND for the matter. a comment was made to the poll: which phantom version do wewe preffer? a comment was made to the poll: Which is your inayopendelewa version of Erik & Christine? 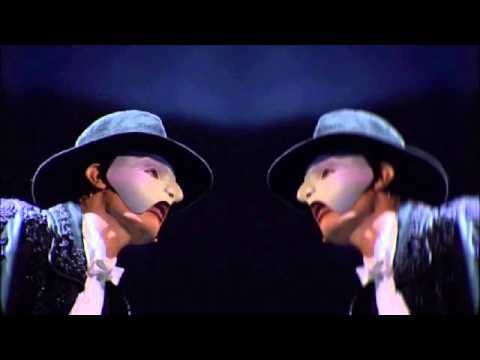 In the movie the phantom of the opera who did cristine really love?